8 Fantastic Free Kindle Self help Books for Wednesday! *Drive Your Destiny: Create a Vision for Your Life, Build Better Habits for Wealth and Health, and Unlock Your Inner Greatness (Deal, Not Free) by Scott Allan. Price: $0.99. Genre: Self Help Deal, Sponsor, Personal Transformation, Change your Limiting Beliefs, Build Better Habits. Rated: 5 stars on 26 Reviews. 167 pages. ASIN: B077R1Q866. Posted on November 30, 2017 Author KibetCategories Happiness, personal transformation, Self Improvement BooksLeave a comment on 8 Fantastic Free Kindle Self help Books for Wednesday! 11 Awesome Free Kindle Self help Books for Tuesday! *How to be Glamorous on a Budget: A Modern Girl’s guide to looking her Best without Burning Holes in her Pocket by Julia Goodman. Price: Free. Genre: Self Help, Sponsor, Motivational. Rated: 4.2 stars on 12 Reviews. 50 pages. ASIN: B073X2GB92. Posted on November 29, 2017 Author KibetCategories Happiness, Motivational, personal transformation, Self Esteem, successLeave a comment on 11 Awesome Free Kindle Self help Books for Tuesday! 13 Wonderful Free Kindle Self help Books for Monday! *(Free for Kindle Unlimited) The Wealthy Creative: 24 Successful Artists and Writers Share Their Winning Habits (Deal, Not Free) by Genevieve Parker Hill. Price: $2.99. Genre: Women & Business Deal, Sponsor, Making a Living From Creative Work, Self Help, Creativity. Rated: 5 stars on 2 Reviews. 147 pages. ASIN: B0762H7RYZ. *(Free for Kindle Unlimited) Parent to Parent: Is a captivating conversation with your mother, sister, best friend and stranger that takes a straight forward apporach to parenting (Deal, Not Free) by Victoria Carnahan. Price: $2.99. Genre: Self Help Deal, Sponsor, How to Raise Kids Well. Rated: 4.8 stars on 4 Reviews. 151 pages. ASIN: B0180H9OJC. *(Box Set Deal, Not Free) Summary Bundle: Mind & Motivation (Deal, Not Free) by SUMOREADS. Price: $0.99. Genre: Non Fiction Book Summary Bundle Deal, Sponsor, Deepen Your Understanding, Refresh Your Memory, Improve Yourself. Rated: 5 stars on 1 Reviews. 96 pages. ASIN: B077HYR8LY. *(Free for Kindle Unlimited) Make it Real: How to accomplish your dreams by creating powerful visions (Deal, Not Free) by David Lancaster. Price: $0.99. Genre: Success Deal, Sponsor, Self Help, Non Fiction. Rated: 5 stars on 1 Reviews. 144 pages. ASIN: B076JDKZ6K. *It’s Time to Align: The Most Powerful Self-Help Book Ever Written (Deal, Not Free) by Allen Lottinger. Price: $0.99. Genre: Law of Attraction Deal, Sponsor, Secret to Abundance, Abundance Mentality Non Fiction, Self Help, Motivational. Rated: 4 stars on 34 Reviews. 111 pages. ASIN: B00OLKKW4Y. *Stress to Happiness: 3 magical ways of meditation for quick stress relief (mental wellness, feel good, depression self help, anxiety relief, mindfulness, stress managemenent, guided meditation, ocd) by Udit Kapoor. Price: Free. Genre: Nonfiction, Self-Help, Self-Esteem. Rated: 5 stars on 14 Reviews. 35 pages. ASIN: B075W2NT4R. *Social Skills Handbook for Autism: Activities to Help Kids Learn Social Skills and Make Friends (Autism Spectrum Disorder, Autism Books) by Catherine Pascuas. Price: Free. Genre: Nonfiction, Parenting & Relationships, Special Needs. Rated: 5 stars on 6 Reviews. 160 pages. ASIN: B077DYR9TM. *UnPerfect: A Busy Mom’s Guide to Seeking Purpose over Perfection by Deanna Pecina. Price: Free. Genre: Nonfiction, Parenting & Relationships, Family Relationships, Dysfunctional Relationships. Rated: 4.9 stars on 19 Reviews. 90 pages. ASIN: B07848YNT7. *Social Anxiety: The Social Anxiety Cure: 7 Steps to Freedom from Social Anxiety (Social Anxiety, Self Confidence, Shyness, Social Skills, Introvert) by Gerald Confienza. Price: Free. Genre: Nonfiction, Self-Help, Self-Esteem. Rated: 4.7 stars on 12 Reviews. 45 pages. ASIN: B0778QR2XC. Overcoming Fears: Turning Them into Strength and Confidence (Personal Development Book) The Ultimate Guide: Anxieties & Phobias, How to Be Happy, Feeling Good, Self Esteem, Positive Thinking by Vanessa Angel. Price: Free. Genre: Nonfiction, Self-Help, Self-Esteem. Rated: 4.6 stars on 5 Reviews. 60 pages. ASIN: B073LZ9YMH. Designed To Go The Distance: A Survival Guide for The Creative Professional by Mitch Dowell. Price: Free. Genre: Nonfiction, Self-Help, Creativity. Rated: 4.3 stars on 10 Reviews. 66 pages. ASIN: B01N0RPZTS. Posted on November 28, 2017 Author KibetCategories communication, Depression, Happiness, Mindfulness, Motivational, Self Esteem, Self Help Free Books KindleLeave a comment on 13 Wonderful Free Kindle Self help Books for Monday! 12 Fantastic Free Kindle Self help Books for Saturday! *(Free for Kindle Unlimited) Fighting Discouragement (Deal, Not Free) by Ralph Dartey. Price: $9.99. Genre: Christian Non Fiction Deal, Sponsor, Self Help, Revelations to Overcome Tests to Your Faith. Rated: 5 stars on 1 Reviews. 163 pages. ASIN: B0773WLK5H. *The FastReads Happy Life Bundle (Deal, Not Free) by FastReads. Price: $0.99. Genre: Self Help Summary Bundle Deal, Sponsor, 5 Book Summary Bundle, Happiness, Emotions. Rated: 5 stars on 1 Reviews. 157 pages. ASIN: B074YYKJH5. *Summary Bundle: Mental Clarity | FastReads: Includes Summary of The Code of the Extraordinary Mind, Summary of Ego Is the Enemy, Summary of When Things Fall Apart + 3 ADDITIONAL BOOKS (Deal, Not Free) by FastReads. Price: $0.99. Genre: Self Help Summary Bundle Deal, Sponsor, 5 Book Summary, Motivation & Self Improvement, Enemy Within, Conquer your Ego. Rated: 5 stars on 1 Reviews. 174 pages. ASIN: B077G1KDQD. *Analysis of Braving the Wilderness: A Book Buyer’s Guide by ReeRoos. Price: $0.99. Genre: Self Help Book Summary Deal, Sponsor, Spiritual, Non Fiction. Rated: 5 stars on 1 Reviews. 24 pages. ASIN: B077K4JQPL. *It’s Time to Align: The Most Powerful Self-Help Book Ever Written (Deal, Not Free) by Allen Lottinger. Price: $0.99. Genre: Non Fiction Deal, Sponsor, How Law of Attraction Really Works, Manifestation. Rated: 4 stars on 34 Reviews. 111 pages. ASIN: B00OLKKW4Y. *SELF-CONFIDENCE: How To Overcome Social Anxiety And Self-Doubts To Develop Self-Acceptance And Start Living An Awesome Life (Self-Confidence, Social-Anxiety, … Yourself, Self-Acceptance, Self-Esteem) by John Taylor. Price: Free. Genre: Nonfiction, Self-Help, Self-Esteem. Rated: 5 stars on 5 Reviews. 25 pages. ASIN: B07791XLPD. *Memory. Train Your Brain. : The Complete Guide on How to Improve Your Memory, Think Faster, Concentrate More and Remember Everything by Benjamin Wood. Price: Free. Genre: Nonfiction, Self-Help, Memory Improvement, Motivational. Rated: 5 stars on 4 Reviews. 57 pages. ASIN: B077K8TBSH. Pregnancy After Preeclampsia by Madison Lee. Price: Free. Genre: Nonfiction, Parenting & Relationships, Family Relationships, Motherhood. Rated: 4.7 stars on 9 Reviews. 185 pages. ASIN: B071RMS3V4. Self-Discipline: Military Methods To Overcome Obstacles and Conquer Any Goal (Self Confidence, Self Control, Mindset, Discipline, Mental Toughness, Willpower) by HMW Publishing. Price: Free. Genre: Nonfiction, Self-Help, Eating Disorders & Body Image. Rated: 4.4 stars on 21 Reviews. 58 pages. ASIN: B06X6JHX63. Posted on November 26, 2017 Author KibetCategories Emmotions, Happiness, Memory Improvement, Motivational, Self Esteem, Self Help Free Books Kindle, Self Improvement BooksLeave a comment on 12 Fantastic Free Kindle Self help Books for Saturday! 18 Wonderful Free Kindle Self help Books for Friday! *How to Improve the Quality of Your Life? : A Comprehensive Approach and Guide to Well-Being (Deal, Not Free) by Dr. Joseph Adrien Emmanuel. Price: $9.99. Genre: Self Help Deal, Sponsor, Motivation, Success, Nonfiction, How To, Improve Quality of Life. Rated: 4.6 stars on 12 Reviews. 316 pages. ASIN: B0745134BL. 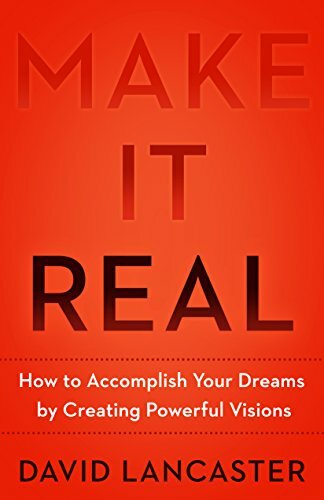 *(Free for Kindle Unlimited) Make it Real: How to accomplish your dreams by creating powerful visions (Deal, Not Free) by David Lancaster. Price: $7.99. Genre: Believe in Yourself Deal, Sponsor, Non Fiction, Transform Your Life, Create Powerful Visions and Achieve Your Dreams, Non Fiction. Rated: 5 stars on 1 Reviews. 144 pages. ASIN: B076JDKZ6K. *FastReads Money & Motivation Book Bundle: Includes Summary of Grit, Summary of Mindset, Summary of Tools of Titans, Summary of Unshakeable, and Summary of The War of Art (Deal, Not Free) by FastReads. Price: $0.99. Genre: Self Help Summary Bundle Deal, Sponsor, 5 Book Summary, Motivation, Success. Rated: 5 stars on 1 Reviews. 135 pages. ASIN: B073WLWR1X. *Summary Bundle: Mental Clarity | FastReads: Includes Summary of The Code of the Extraordinary Mind, Summary of Ego Is the Enemy, Summary of When Things Fall Apart + 3 ADDITIONAL BOOKS (Deal, Not Free) by FastReads. Price: $0.99. Genre: Non Fiction Summary Bundle Deal, Sponsor, 5 Book Summary, Self Help, Personal Growth, Transform your Life. Rated: 5 stars on 1 Reviews. 174 pages. ASIN: B077G1KDQD. *(Box Set Deal, Not Free) Summary Bundle: Mind & Motivation (Deal, Not Free) by SUMOREADS. Price: $0.99. Genre: Self Help Summary Bundle Deal, Sponsor, 5 Book Summary, Motivational, Success, Non Fiction. Rated: 5 stars on 1 Reviews. 96 pages. ASIN: B077HYR8LY. *Analysis of Anxious for Nothing: A Book Buyer’s Guide – Review & Key Takeaways (Deal, Not Free) by ReeRoos. Price: $0.99. Genre: Christian Self Help Summary Book Deal, Sponsor, Let Go of Anxiety & Stress, Emotions. Rated: 5 stars on 1 Reviews. 32 pages. ASIN: B0783HWMTV. ISBN: 197972248X. 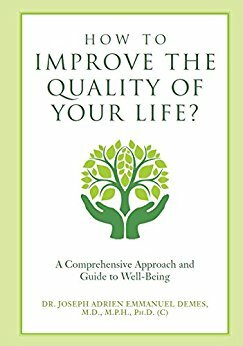 *How to Improve the Quality of Your Life: A Comprehensive Approach and Guide to Well-Being (Deal, Not Free) by Dr. Joseph Adrien Emmanuel. Price: $0.99. Genre: Self Help Book Deal, Sponsor, Motivation, Success, Nonfiction, How To, Improve Quality of Life. Rated: 4.6 stars on 12 Reviews. 316 pages. ASIN: B0745134BL. *It’s Time to Align: The Most Powerful Self-Help Book Ever Written (Deal, Not Free) by Allen Lottinger. Price: $0.99. Genre: Self Help Book Deal, Sponsor, Motivational, The Secret to the Law of Attraction. Rated: 4 stars on 34 Reviews. 111 pages. ASIN: B00OLKKW4Y. *100 Popular Gratitude and Motivational Quotes: The Underlying meanings of these quotes and how to apply them in your daily life by Brenda Nathan. Price: Free. Genre: Self Help Book, Sponsor, Happiness, Nonfiction, Alternative Medicine, Healing, Daily Inspiration, Gratitude. Rated: 5 stars on 1 Reviews. 114 pages. ASIN: B076PK2JP7. ISBN: 1546744045. *Start Sooner! : Face Your fears. Let go. Write your story. (Uncharted Waters Book 1) by Claudia Vidal. Price: Free. Genre: Nonfiction, Parenting & Relationships, Family Relationships, Parent & Adult Child, Self Esteem. Rated: 5 stars on 4 Reviews. 163 pages. ASIN: B075696PJ9. *Winners Win, Losers Lose: How to Always Win in Life and Business: A Complete Guide to Transform Your Life to Start Winning in Every Aspect of Life, Improving … Your Income, And Start Being an Influencer by Ted Primo. Price: Free. Genre: Nonfiction, Self-Help, Self-Esteem. Rated: 5 stars on 4 Reviews. 111 pages. ASIN: B077CWYZYZ. Dammit Bre! by Samuel Rikard. Price: Free. Genre: Nonfiction, Parenting & Relationships. Rated: 4.8 stars on 8 Reviews. 185 pages. ASIN: B06XFBSZYZ. Good-for-Nothing: I Once Believed Him by Angelika Delf. Price: Free. Genre: Nonfiction, Parenting & Relationships, Family Relationships, Divorce. Rated: 4.8 stars on 8 Reviews. 97 pages. ASIN: B074YCH7GK. From Forbidden to Forever: An unconventional love story by Kris Calbar. Price: Free. Genre: Nonfiction, Parenting & Relationships. Rated: 4.8 stars on 7 Reviews. 89 pages. ASIN: B074N7ZRDJ. 77 Exercises in Law of Attraction: How to Manifest Your Dreams in No Time (only 10 minute or less per day) by Jerold Caron. Price: Free. Genre: Nonfiction, Self-Help, Spiritual. Rated: 4.6 stars on 7 Reviews. 73 pages. ASIN: B074X9MHHB. Procrastination: Overcome the bad habits of Procrastination and Laziness and become more productive by George Pain. Price: Free. Genre: Nonfiction, Self Help. Rated: 4.5 stars on 7 Reviews. 56 pages. ASIN: B075HCKW2R. Retrain Your Brain: Steps You Can Take Today to Improve Your Memory and Awake Your Inner Genius by Ivan Harmon. Price: Free. Genre: Nonfiction, Self-Help, Memory Improvement. Rated: 4.3 stars on 4 Reviews. 319 pages. ASIN: B075BGBCW5. Posted on November 25, 2017 Author KibetCategories Career Guides, Happiness, Memory Improvement, Motivational, personal transformation, Self EsteemLeave a comment on 18 Wonderful Free Kindle Self help Books for Friday! 11 Wonderful Free Kindle Self help Books for Wednesday! *(Free for Kindle Unlimited) Instant Insights on…Career Wellness for Chronic Illness Warriors (Deal, Not Free) by Diana Hallare. Price: $4.97. Genre: Self Help for Chronic Illness Warriors Deal, Sponsor, Self Care, Career Strength, Overcome Chronic Illness Drawbacks. Rated: 5 stars on 1 Reviews. 68 pages. ASIN: B0764NSBWL. *(Free for Kindle Unlimited) Becoming Kimberly: A Transgender’s Journey (Deal, Not Free) by Kimberly Davis. Price: $2.99. Genre: Non Fiction Deal, Sponsor, True Story, Journey to Being Yourself. Rated: 4.6 stars on 10 Reviews. 155 pages. ASIN: B073D25PNV. *Analysis of Present Over Perfect: A Book Buyer’s Guide – Review & Key Takeaways (Deal, Not Free) by ReeRoos. Price: $0.99. Genre: Non Fiction Book Summary Deal, Sponsor, Make a Life Change, Slow Down, Accept Imperfection, Self Help Memoir. Rated: 5 stars on 1 Reviews. 35 pages. ASIN: B077K9MRVK. *Stress Less. Love Life More. : How to Stop Worrying, Reduce Anxiety, Eliminate Negative Thinking and Find Happiness (Health & Happiness Book 2) by Cassandra Gaisford. Price: Free. Genre: Nonfiction, Self-Help, Stress Management. Rated: 5 stars on 6 Reviews. 235 pages. ASIN: B0742R32XH. *Become a Viking Mom! : Get out of survival mode with the proven 5 step Danish parenting system. Simple and powerful tools for raising amazingly happy children. by Mette Dahm,‎ Mette Wismann. Price: Free. Genre: Nonfiction, Parenting & Relationships, Parenting, School-Age Children. Rated: 5 stars on 5 Reviews. 202 pages. ASIN: B077K2LRKB. *Enjoy Living Authentically You by Tiffany A. Green. Price: Free. Genre: Nonfiction, Self-Help. Rated: 5 stars on 4 Reviews. 21 pages. ASIN: B06XGCR17L. *7 Simple Steps to Transform Your Life: Mindfulness Secrets to Success and Happier Life by Gary Howard. Price: Free. Genre: Nonfiction, Self-Help, Stress Management, Happiness. Rated: 4.6 stars on 17 Reviews. 30 pages. ASIN: B077843CH6. Discover the Perfect Diet for Your Personality Type by Oscar Mendez. Price: Free. Genre: Nonfiction, Self-Help, Eating Disorders & Body Image. Rated: 4.7 stars on 5 Reviews. 86 pages. ASIN: B077678L7G. ADHD: A Guide to Cultivating Calm, Reducing Stress, and Helping Children Thrive! by Penny Nunn. Price: Free. Genre: Nonfiction, Parenting & Relationships, Special Needs, Hyperactivity. Rated: 4.6 stars on 6 Reviews. 106 pages. ASIN: B077CVSG88. Speed Reading: How To Increase the Speed of Reading in a Short Time, Visualization, Mnemonic, Memory Game by James Gibson. Price: Free. Genre: Nonfiction, Self-Help, Memory Improvement. Rated: 4.5 stars on 6 Reviews. 37 pages. ASIN: B0776KZ5LV. Posted on November 23, 2017 Author KibetCategories communication, Happiness, Memory Improvement, Motivational, Self Help Free Books Kindle, Stress ManagementLeave a comment on 11 Wonderful Free Kindle Self help Books for Wednesday! 13 Excellent Free Kindle Self help Books for Tuesday! *The Jesus Prayer: Entering The High Point of Heaven (Deal, Not Free) by John Hunt. Price: $0.99. Genre: Christian Self Help Deal, Sponsor, Christian Non Fiction. Rated: 5 stars on 1 Reviews. 51 pages. ASIN: B07634F79W. *SELF HELP: Because I Don’t Have A Clue How To by Michael R. Hopson. Price: Free. Genre: Non Fiction, Sponsor, Philosophy, Free Will & Determinism, Humor & Satire. Rated: 4 stars on 10 Reviews. 50 pages. ASIN: B0721G3893. *My Mom is the Worst: A Toddler’s Perspective on Parenting by J.K. Coy. Price: Free. Genre: Nonfiction, Parenting & Relationships, Family Relationships, Motherhood. Rated: 5 stars on 17 Reviews. 32 pages. ASIN: B077J8M7G9. *Fractured: A Hug Your Chaos Story of Healing: Healing From Addiction, Disease, & Illness Through Energy Work by Lindsay Carricarte-Jones. Price: Free. Genre: Nonfiction, Self-Help, Motivational. Rated: 5 stars on 10 Reviews. 192 pages. ASIN: B076QJRQGR. *Codependency: FREE: A Guide to Understand and Set Yourself Free from Co-dependency (Selp Help, Codependency, Codependant, Controlling) by A.C. Drexel. Price: Free. Genre: Self-Help. Rated: 4.7 stars on 25 Reviews. 58 pages. ASIN: B075HJC5XF. Unlimited Memory 2.0: A Complete Guide To the Training of Memory, Photographic Memory, Mnemonics, Brain games by David Newman. Price: Free. Genre: Nonfiction, Self-Help, Memory Improvement. Rated: 4.8 stars on 8 Reviews. 60 pages. ASIN: B0776BBF45. Motivation: 12 Incredibly Effective Habits to Acquire Bulletproof Self-Discipline, Dominate Your Day & Revolutionise Your Life (Motivation Series) by Mark Eriksson. Price: Free. Genre: Nonfiction, Self-Help, Personal Transformation. Rated: 4.8 stars on 6 Reviews. 91 pages. ASIN: B0776MY5YJ. Verbal Abuse: How Your Verbally Abusive Relationship Can Wear You Down by Mandy Womack. Price: Free. Genre: Nonfiction, Parenting & Relationships, Family Relationships, Dysfunctional Relationships. Rated: 4.7 stars on 4 Reviews. 58 pages. ASIN: B0779HKMG9. 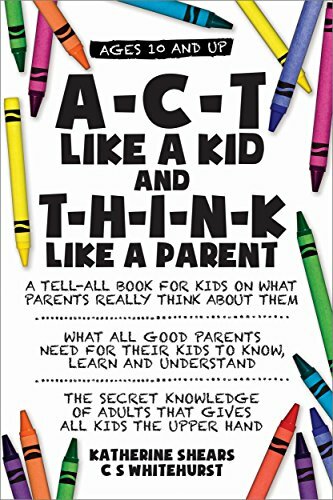 SIMPLE PARENTING: The A-Z of Parenting (Help Children Grow Into Confident, Independent, Fearless and Joyous Beings) by Girish Panicker. Price: Free. Genre: Nonfiction, Parenting & Relationships, Parenting. Rated: 4.3 stars on 6 Reviews. 56 pages. ASIN: B071KZ3KVP. Posted on November 22, 2017 Author KibetCategories Happiness, Memory Improvement, Motivational, personal transformation, Self Help Free Books KindleLeave a comment on 13 Excellent Free Kindle Self help Books for Tuesday! 8 Amazing Free Kindle Self help Books for Monday! *Analysis of Present Over Perfect: A Book Buyer’s Guide – Review & Key Takeaways (Deal, Not Free) by ReeRoos. Price: $0.99. Genre: Self Help Book Summary Deal, Sponsor, Personal Transformation, Choosing. Rated: 5 stars on 1 Reviews. 35 pages. ASIN: B077K9MRVK. *SELF HELP: Because I Don’t Have A Clue How To by Michael R. Hopson. Price: Free. 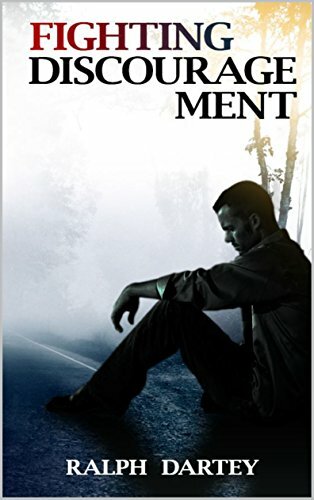 Genre: Non Fiction, Sponsor, Self Help, What do You Really Wants, Whats Stopping You. Rated: 4 stars on 10 Reviews. 50 pages. ASIN: B0721G3893. *Self Love: A Guide To Develop Self Love In Your Daily Life (Self Confidence, Self Esteem, Self Acceptance, Self Love, Self Discovery, Self Improvement, Self Discipline Book 2) by Robert Jermanson. Price: Free. Genre: Nonfiction, Self-Help, Personal Transformation. Rated: 4.7 stars on 12 Reviews. 37 pages. ASIN: B07792TGCD. *Divorce: Breaking up and Ending an Unhealthy Marriage by K. Connors. Price: Free. Genre: Nonfiction, Parenting & Relationships, Family Relationships, Divorce. Rated: 4.5 stars on 13 Reviews. 122 pages. ASIN: B077BJC9XL. Don’t Wake Up! It Will Ruin Everything by Bern Callahan. Price: Free. Genre: Nonfiction, Self-Help. Rated: 4.6 stars on 7 Reviews. 67 pages. ASIN: B0779L89BC. Posted on November 21, 2017 Author KibetCategories Happiness, personal transformation, Self Improvement Books, successLeave a comment on 8 Amazing Free Kindle Self help Books for Monday! 10 Fantastic Free Kindle Self help Books for Sunday! *(Free for Kindle Unlimited) Fighting Discouragement (Deal, Not Free) by Ralph Dartey. Price: $9.99. Genre: Christian Non Fiction Deal, Sponsor, Self Help, Overcoming Discouragements. Rated: 5 stars on 1 Reviews. 163 pages. ASIN: B0773WLK5H. ***(Free for Kindle Unlimited) The Illegal Gardener (The Greek Village Collection Book 1) (Deal, Not Free) by Sara Alexi. Price: $4.99. Genre: Character Driven Novel Deal, Sponsor, Attraction Self Awareness Dignity, Fiction set in Greece. Rated: 4.8 stars on 999 Reviews. 290 pages. ASIN: B008LMT78U. *Analysis of Present Over Perfect: A Book Buyer’s Guide – Review & Key Takeaways (Deal, Not Free) by ReeRoos. Price: $0.99. Genre: Self Help Book Summary Deal, Sponsor, Personal Transformation, Choosing Happiness, Self Help Biographies & Memoirs. Rated: 5 stars on 1 Reviews. 35 pages. ASIN: B077K9MRVK. *The Jesus Prayer: Entering The High Point of Heaven (Deal, Not Free) by John Hunt. Price: $0.99. Genre: Christian Self Help Deal, Sponsor, Personal Transformation, Spiritual, Power of Prayer. Rated: 5 stars on 1 Reviews. 51 pages. ASIN: B07634F79W. *SELF HELP: Because I Don’t Have A Clue How To by Michael R. Hopson. Price: Free. Genre: Non Fiction, Sponsor, Lively Self Help, Practical Self Discovery, What’s Blocking Your Success. Rated: 4 stars on 10 Reviews. 50 pages. ASIN: B0721G3893. *Want to Change Your Life? This is How You Do It. : Your Roadmap to Happiness, Fulfillment and Purpose by Cornelius Davis. Price: Free. Genre: Nonfiction, Self-Help, Motivational. Rated: 5 stars on 6 Reviews. 94 pages. ASIN: B06XR3MLQH. Divorce: Taking the Path towards Healing After a Divorce by Rita Chester. Price: Free. Genre: Nonfiction, Parenting & Relationships, Family Relationships, Divorce, Death & Grief. Rated: 4.3 stars on 5 Reviews. 34 pages. ASIN: B073VZLM8S. Introvert: 2 in 1 – Social Skills, Inner Strength and Success by Rita Chester,‎ Albert Rogers. Price: Free. Genre: Nonfiction, Parenting & Relationships, Special Needs, Disabilities. Rated: 4.2 stars on 7 Reviews. 112 pages. ASIN: B071J7V6QL. Posted on November 20, 2017 Author KibetCategories Grief, Happiness, Motivational, personal transformationLeave a comment on 10 Fantastic Free Kindle Self help Books for Sunday! 6 Wonderful Free Kindle Self help Books for Friday! 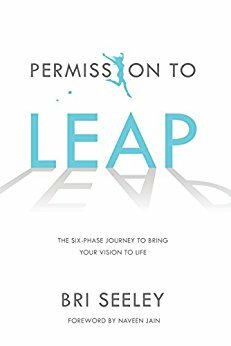 **Permission to Leap: The Six-Phase Journey to Bring Your Vision to Life by Bri Seeley. Price: $0.99. Genre: Non Fiction Deal, Sponsor, Bring Your Vision to Life, Self Help, Transformational. Rated: 4.9 stars on 85 Reviews. 186 pages. ASIN: B076QSTQTM. The Paperback would make an Excellent Gift! **Burn Zones: Playing Life’s Bad Hands (Deal, Not Free) by Jorge P. Newbery. Price: $0.99. Genre: Non Fiction Deal, Sponsor, Self Help, Biographies & Memoirs, Getting Through Life’s Bad Hands. Rated: 4.6 stars on 63 Reviews. 244 pages. ASIN: B00XA2JE0C. *Health And Fitness Tips That Will Change Your Life: Create a healthy lifestyle from beginner to winner with mind-set, diet and exercise habits (Deal, Not Free) by James Atkinson. Price: $0.99. Genre: Self Help Deal, Sponsor, Personal Health, Mindset, Motivational, Non Fiction. Rated: 5 stars on 9 Reviews. 112 pages. ASIN: B076111QHB. *November Fox – Book 0. Law of Attraction: A Metaphysical Visionary Fable by E.E. Bertram. Price: Free. Genre: Self Help, Sponsor, New Age, Consciousness & Thought, Non Fiction. Rated: 5 stars on 9 Reviews. 94 pages. ASIN: B076GMM9TQ. *SELF HELP: Because I Don’t Have A Clue How To by Michael R. Hopson. Price: Free. Genre: Non Fiction, Sponsor, Work Out What Matters to You, Self Help. Rated: 4 stars on 10 Reviews. 50 pages. ASIN: B0721G3893. Weird Hummingbirds: Unleash Your Life! by Layne Smith-Brown. Price: Free. Genre: Nonfiction, Self-Help, Spiritual. Rated: 4.7 stars on 4 Reviews. 171 pages. ASIN: B077C9ZCKD. Posted on November 18, 2017 Author KibetCategories Happiness, Motivational, personal transformation, Self Improvement BooksLeave a comment on 6 Wonderful Free Kindle Self help Books for Friday!